Mr. David Keith Baucom, age 82, of Monroe, NC passed away Thursday, January 17, 2019 at his residence. Funeral Services will be conducted at 3:00 PM Sunday, January 20th, 2019, at Antioch Baptist Church, 6223 Love Mill Road, Monroe, NC, 28110, officiated by Dr. Ronnie Simpson. Interment with military honors will follow in the church cemetery. The family will receive friends from 1:30 PM - 2:45 PM Sunday, prior to the service at Antioch. Mr. Baucom was born on January 22, 1936 in Union County, NC, a son of the late Justus Pernay Baucom and Lessie Jane Simpson Baucom. He was the owner of Baucom's Welding. Mr. Baucom also served our country through his service to the United States Army. 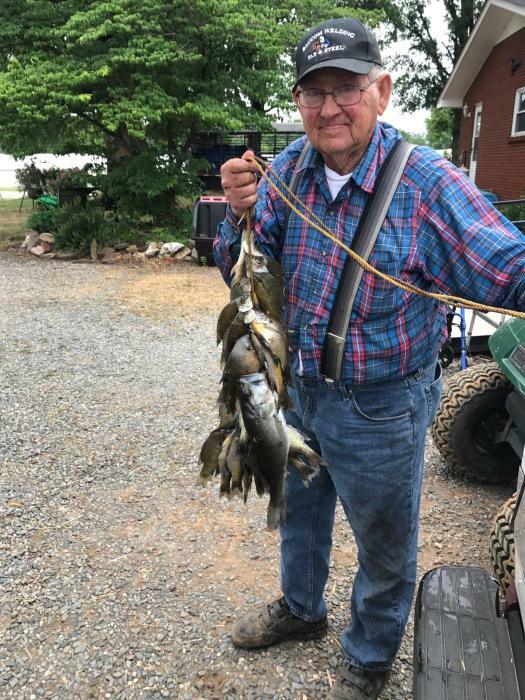 He was also an avid fisherman. David was preceded in death by his wife, Thelma Ruth Surber Baucom. He was also preceded in death by four brothers; Glen Baucom, Wayne Baucom, Otis Baucom, and Beamer Baucom, and six sisters; Polly Hinson, Leitha Rushing, Beulah Haywood, Roma (Jack) Baucom, Mary Crowell, and Dean Coley. Survivors include two sons; James Keith Baucom and wife Kim of Monroe, NC, Brian David Baucom and wife Wendy of Marshville, NC, and four grandsons; Mical Baucom of Monroe, NC, Brian Dillon Baucom of Marshville, NC, Cameron Baucom of Marshville, NC and Payton Baucom of Marshville, NC. Although flowers are are appreciated, the family requests that memorials in David's honor be made to Hospice of Union County, or Hometown Heroes.